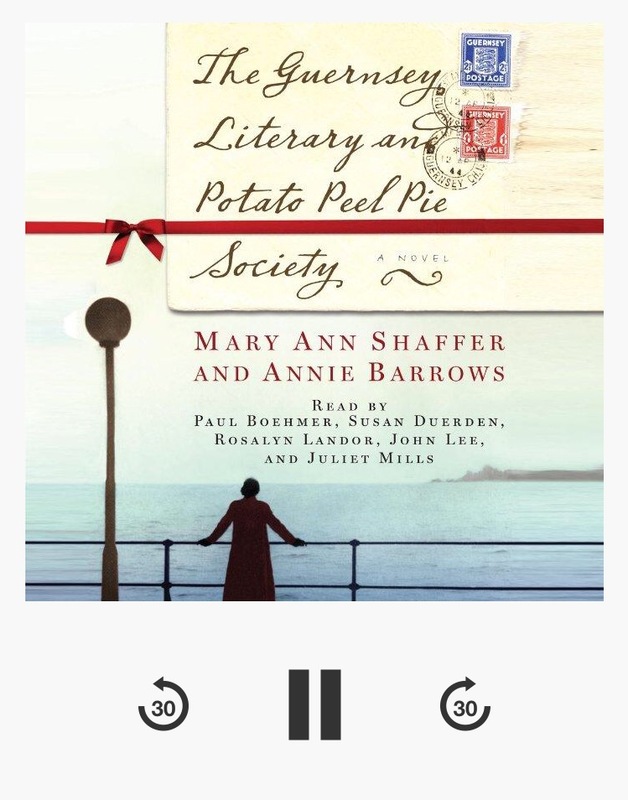 My affection for audiobooks began relatively recently. 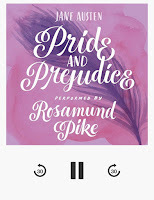 I started with one of the cheap audiobook apps that offers public domain works, or more accurately, all the classics! :) This worked for a while, but I took the leap to Audible a few months ago and highly recommend it. With a 30-day free trial, you get one free audiobook, and after that, you get one for the monthly price. It’s a pretty good deal, considering the regular price of most audiobooks, and Audible’s selection is enormous, which was one of the biggest draws for me. The classics are great, but you can only listen to the same book so many times. I’ve now spent many happy hours getting lost in a good story and feeling completely productive at the same time. Excellent feeling. Here are a few of my favorites for audio. You may only know of this story because of the movie, and I admit that the movie trailer was my first exposure to it. I was honestly nonplussed after seeing the trailer, but a friend later encouraged me to try the book, and I’m so glad I did! 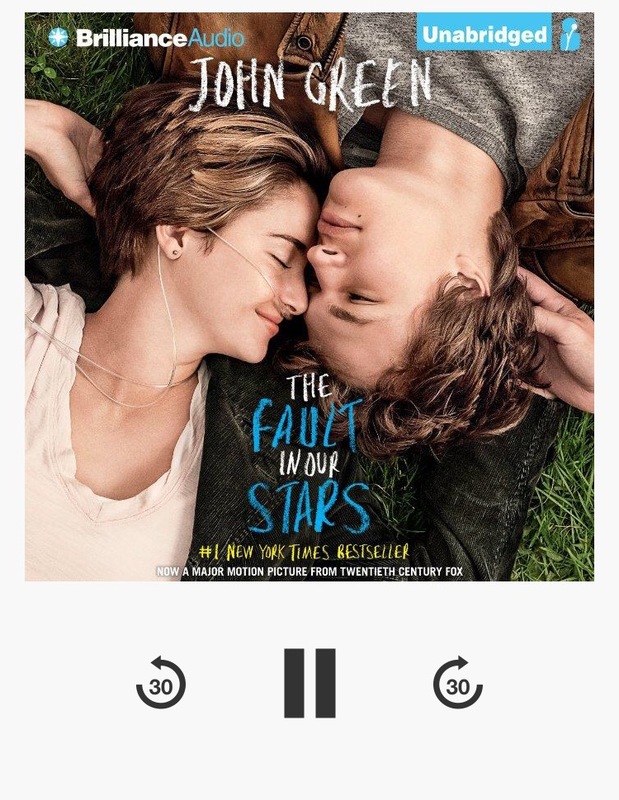 In truth, I decided on the audiobook because I don’t naturally pick up young adult fiction and didn’t want to risk spending a ton of time on it and then not liking it. Ha! But it ended up being a fantastic audio production and the story is excellent. The narrator has an appropriately sassy but empathetic tone, and she varies her pitch only slightly to distinguish between characters, which takes real talent. And the narration is simple to follow while still drawing you in. John Green is a talented author, the characters are easy to imagine and sympathize with, and the story tackles tough situations masterfully. Ah, the classic that remains so dear to hearts across the world, mine being no exception. This new audio version is superb. You perhaps remember Rosamund Pike as the lovely Jane Bennet in the 2005 film adaptation of Pride and Prejudice, so her Austen exposure and natural British elegance served her well in this project! 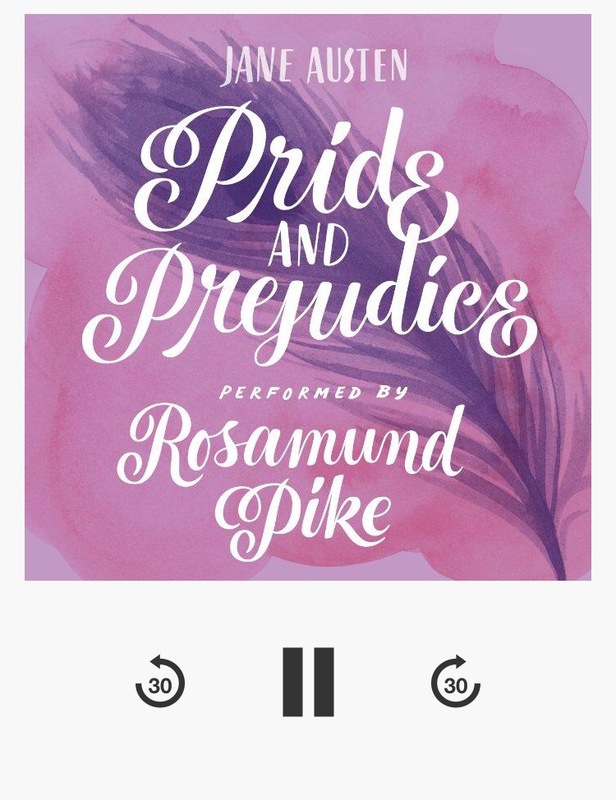 This is undoubtedly my favorite audiobook version of this Austen gem. Rosamund Pike’s voice is like silk in every scene, and her subtle variations in tone for each character are thoughtful and distinguishable. I especially liked her voice interpretation of Mr. Bennet, if you can believe it. This is a great option if you have trouble reading an Austen classic. You’ll think hard, laugh, and sigh happily as you listen to this version! What a mouthful! But a very worthwhile one, I assure you! This will likely be on my list of top books of 2016, and it was a complete joy to listen to. It focuses on the Nazi occupation of the English Channel Islands, specifically the island of Guernsey, and the literary club that forms there will steal your heart instantly. London newspaper columnist Juliet Ashton begins corresponding with the club members by chance, and she’s not at all prepared for how they’re about to steal her heart. I plan to read the physical book at some future point, but I’d almost argue that it’s better to hear than to read. It’s perfect for audio because it’s told entirely through letters between Juliet, her longtime friends, and the Guernsey natives. So, each character has a different voice actor and it sounds and feels perfectly natural. The characters’ personalities come to life vividly as a result, and the letter format gives a unique look into their emotions and struggles. You’ll also want to book a trip to Guernsey by the end! I’m usually wary of books told in epistolary form, but this one knocked it out of the park. Cannot recommend it highly enough! Are you a fan of audiobooks? What are your favorites? Have you read or listened to any of these? Let me know! I’d love to discuss and am always looking for more audiobook recommendations!